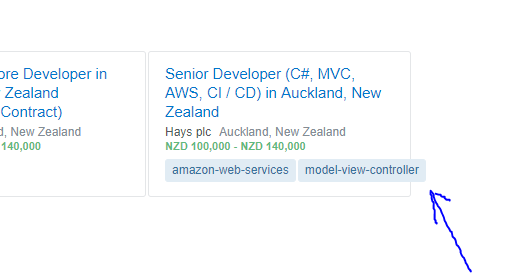 The UI defect is found in job recommendation section on my profile page. The tag goes out of the bound. The browser I am using is Chrome with Version 69.0.3497.100 (Official Build) (64-bit).